In this guide we’re going to show you the easiest way to watch British TV in South Africa. South Africa is an amazing country. The mix of cultures, the blend of city and safari and a whole host of other things. In fact, we Brits must think it’s amazing because there are an estimated 212,000 of us living there as expats. That number isn’t even counting the many more of us who travel there for holidays. While South Africa is great, missing TV from back home in the UK is something most expats complain of and even if you’re not a British expat but you just love British TV, you will appreciate how to watch more of it. We’re going to show you the extremely easy way how with an app called a VPN you can watch British TV in South Africa. The easiest way to watch British TV in South Africa is to use the online streaming service of the channel you want to watch. However, if you’ve already tried to visit the likes of BBC iPlayer while in South Africa you’ll know it’s blocked. You’ll see a message similar to the following. The good news is all you need is a little app called a VPN and instead of seeing the message above you’ll be able to watch BBC iPlayer and every other UK online streaming service right from the comfort of South Africa. Just follow the extremely easy steps below and you’ll be up and running in no time. Visit the NordVPN provider and sign-up. Don’t panic, they have a 30-day money back guarantee so it’s risk free. Download the correct app or software for your device. Run the app or software and select the United Kingdom. It takes approximately 15 – 30 seconds for the NordVPN app or software to connect. Once it’s connected any websites you visit will now think you’re in the UK even though in reality you’re in South Africa or anywhere else in the world. All you need to do now is visit your favourite online TV streaming service and instead of being blocked you’ll be able to watch any show or programme you wish. We’ve rounded up some of the best services at the bottom of this article. If you’re still a little unsure or struggling to find the correct options to connect take a look at the example images below that show you the process on both a mobile device and a regular computer. Once you’ve finished watching just simply click Disconnect and everything returns to normal. 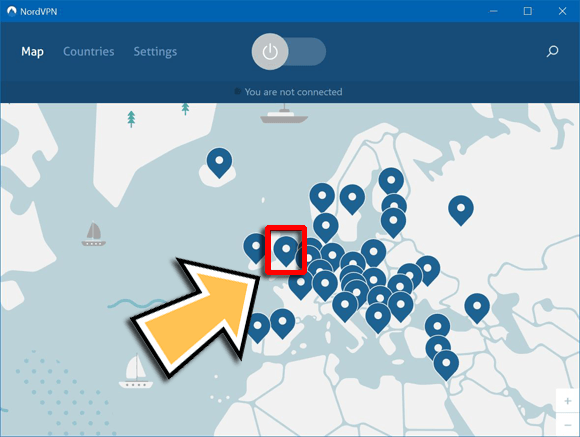 You can reconnect as many times as you wish as long as you have a valid NordVPN subscription. Occasionally some of the NordVPN United Kingdom connection points (also known as Servers) don’t work with your favourite TV streaming service. In that case you simply need to select a different one. Under Countries select United Kingdom and select one of the listed cities. You may need to try a few different cities and servers depending on the service you’re trying to watch. If you search Google quickly for “VPN services” you’ll find there are thousands of different providers. Not all are suitable to watch British TV in South Africa because they’re just too slow. However, you don’t need to stick with NordVPN, although they are our one of our top rated VPN providers which is why we recommend them. If you want to shop around a bit then the following three services are also worth considering. 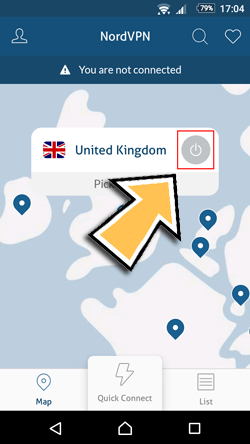 Just like NordVPN all you need to do is click on their name, sign-up, download the correct app or software for your device and connect to their United Kingdom server. Your new VPN service will allow you to watch any UK online streaming service. This includes both free-to-air services and any services that you have a valid subscription or login information for. Don’t forget, all you need is a VPN to be able to watch British TV in South Africa and you can watch all those listed above and more. Click the button below to get yourself one and follow the instructions earlier in this guide.